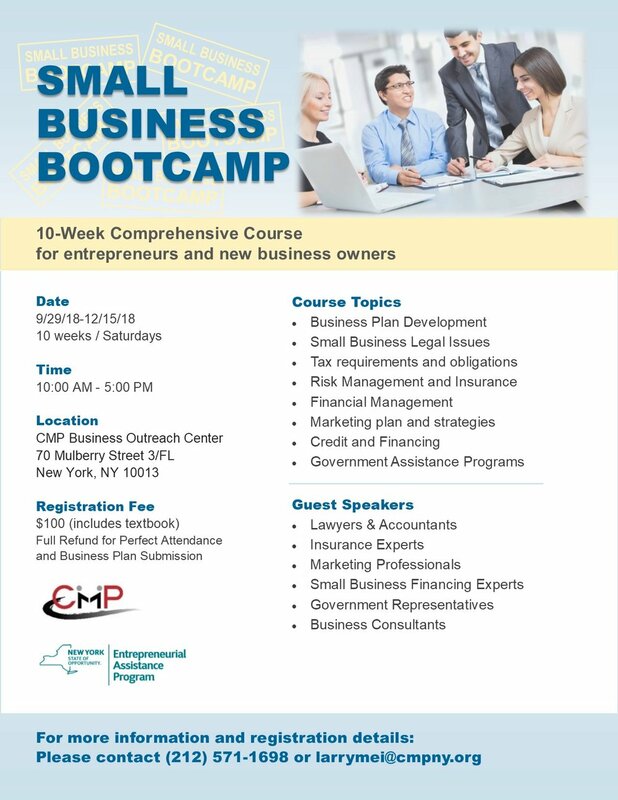 Small Business Bootcamp: We are proud to present the 24th annual Small Business Bootcamp, a 10-week intensive course designed to assist entrepreneurs in developing management skills and refining business concepts, as well as creating business plans. Course topics range from entity formation and business regulations to financial management and access to capital. Class will begin on Saturday, 9/29, through Saturday, 12/15. 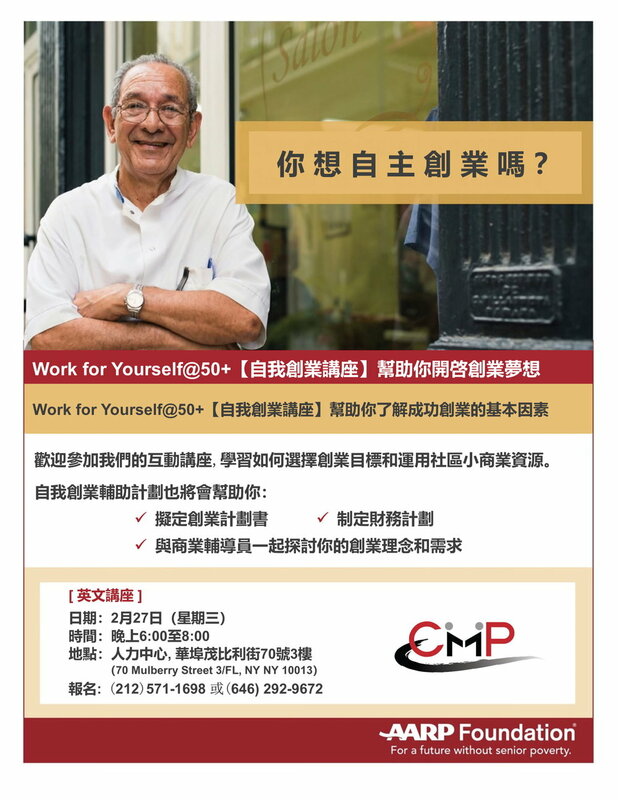 Work for Yourself@50+ Workshop: In partnership with AARP Foundation, CMP is proud to present Work for Yourself@50+ workshop to help older adults learn the ins and outs of successful self-employment. Our next workshop is on Wednesday, September 19th from 6 pm to 8 pm and it will be conducted in Mandarin Chinese. Legal Clinic: CMP is holding a Small Business Legal Clinic on Tuesday, September 25th from 2 PM - 5 PM. Volunteer attorneys will be available to provide free consultations on issues related to business formation, contracts and agreements, trademark and copyright, commercial leases and more. Space is limited and registration is required. Let us help you make your first step in accomplishing your entrepreneurial ambitions! For more information and registration details, please contact 212-571-1698.